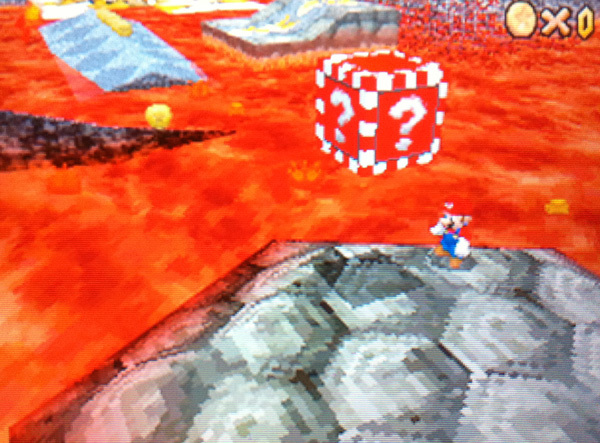 The Short Version: The island with the red question block is directly behind the player when the level starts. Mario can long-jump directly to it and get a Wing Cap, thus accessing almost any part of the level with a single flight. I figured this trick out many years ago on the original Mario 64 for N64 (of course, it was well after playing the same level many, many times). This trick will make all tasks in this level easier to complete. In this version of the game it works best with Mario (though it may also be useful with Wario). 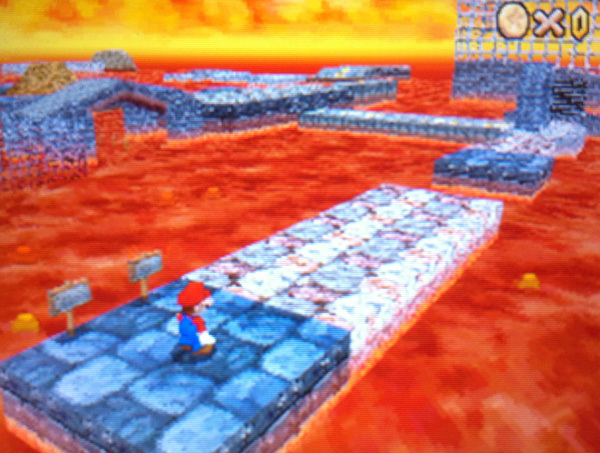 There’s a small island in the bottom-left area of the map that includes a red question block and just enough room to pull off a triple-jump that Mario can use to start flying. Early in the level it’s possible to warp there by killing the rotating eyeball that sits directly above a hidden warp. However, there’s a faster and, if you’ve master the long jump, easier way to reach the island. At the beginning head right a short distance and then turn Mario around and start running back to the edge of the darker rocks. Just before you hit the edge make Mario do a long jump. If lined up well he will land right on the island with the Wing Cap. Using this method you can fly straight to almost any area. If you don’t have enough momentum or height you can quickly land and then triple-jump to keep going. Using this tricks turns the log-rolling level into a breeze. 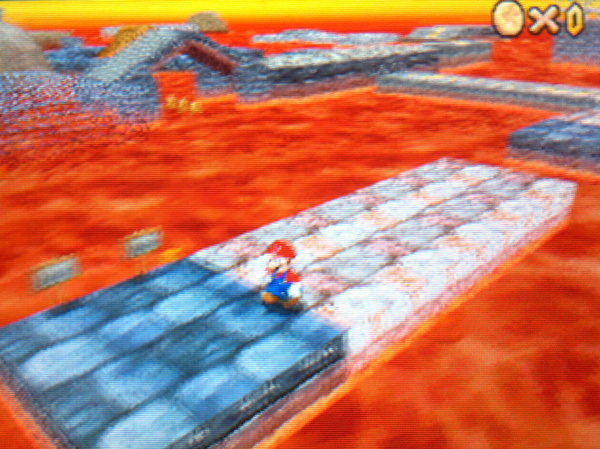 It’s even useful for the levels inside the volcano – while finishing inside the volcano may be tricky there’s no worry about Mario not making it to the volcano entrance.